Sometimes you get a nice surprise when growing vegetables from your own collected seed. 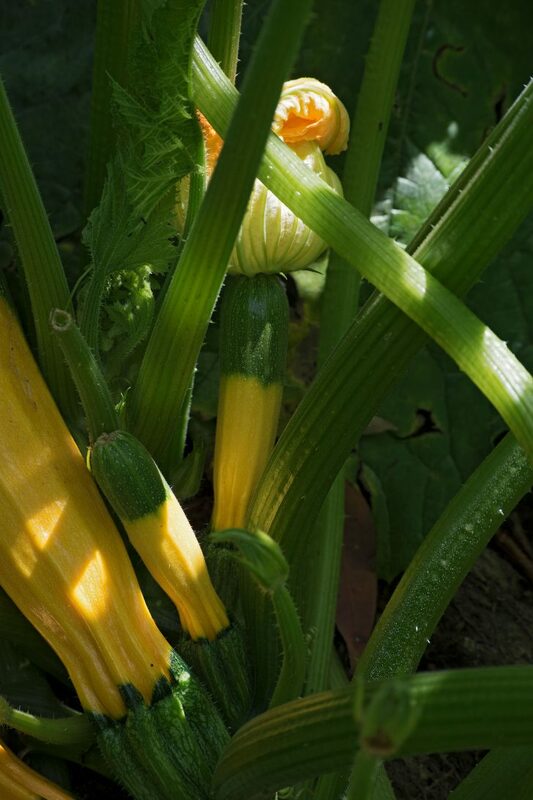 One of them is when a seedling displays an interesting new characteristic like colour or shape. In this case a batch of zucchini seeds have grown out to have fruit that is coloured like another old variety called ‘Zephyr’ that has a mixed colour of gold & green. Last year I got a unique plant that had this odd combination. This year I have a batch of them all growing and displaying a similar look and shape. 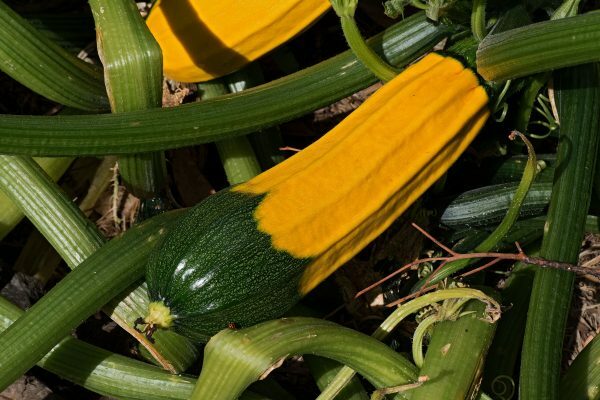 If this grows true next season – for the second time – then I think i’ve accidentally bred my own new version of zucchini ‘Zephyr’ the unusual multicoloured zucchini/squash. From some quick internet research the original F1 version is based on a crookneck and is quite smooth and seems to be more bulbous & curvy. And unlike the earlier F1 ‘Zephyr’ this one appears to be open pollinated and not require tedious manual careful crossing to get more seed resulting in a dead end when seed saving. I have never grown the original ‘Zephyr’ so this is definitely an accidental cross and as I regularly grow the heavily ridged ‘Costata Romanesco’ it seems to have worked it’s way into the genetic mix. This one has the long side ridges from ‘Costata Romanesco’ so it has a star shape when you slice it. Of course I now have to a careful isolation cross test with it this year to see if it continues and what types of limitations it has in terms of pollination. It may turn out to be a transitory and ephemeral event but i hope it stays as it is a kind of fun looking vegetable – and it tastes very good and has a nice texture. 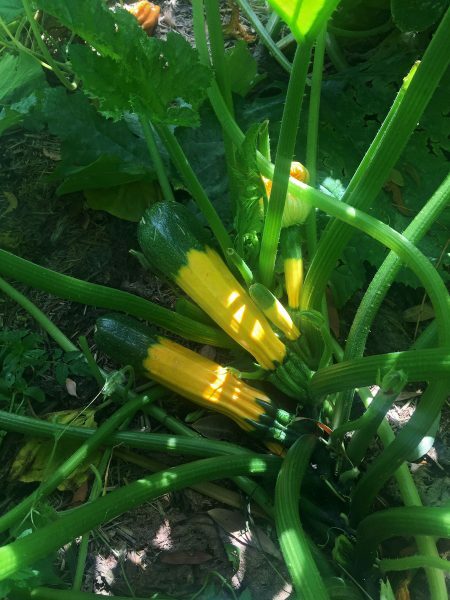 The shape is very classic zucchini and fairly straight and retains the colour layout whatever size it is from tiny to huge & mature.